Watching as a loved one nears death can be a challenging experience; however, you should try to offer your support to the dying person. No matter the cause of death - cancer, heart disease, or other organs shutting down - the experience can be frightening and painful for both parties. Understanding the signs of approaching death can help you deal with the situation and be better able to offer support. There are several physical and mental signs that are related to the body's functioning as a person nears death. As the end of life nears, the person will likely be less interested in food and drink. The metabolic needs of the body decrease as the body slowly shuts down and the person stops using much energy to get around. Near the end, your loved one may not be able to swallow, which may be another reason why solid foods may be rejected. You can't force food on someone, but offer ice chips or sips of water or juice as tolerated to keep the mouth moist. As the metabolism of the body slows down, the person will begin to sleep for most of the day. The fact that food intake has gone down -- which lowers available energy levels -- also contributes to the longer periods of rest. You should allow the extra sleep, but remember that everything you say can probably be heard, even if the person appears to be sound asleep. The brain is affected as the other organs begin to shut down. Your loved one may seem confused as to time and place and may not be able to recognize people whom they already know. The person may be completely lucid one minute and then drift into a state of confusion. Remember to be reassuring and to identify yourself and others as they enter the room. There may be a loss of bowel and bladder function as the nervous system shuts down. The caregiver - usually a nurse or hospice caretaker - may suggest a catheter to collect urine; you can also place absorbent pads on the bed in case of accidents. You may notice a change in breathing rates, such as the person breathing very fast followed by a period of slow breathing. One type of breathing pattern is called Cheyne-Stokes, which is a long deep breath and then a period of no breathing for up to one minute before breathing starts again. Breathing may also be very loud, indication that there may be phlegm or mucus in the back of the throat. Oxygen or a vaporizer may increase the comfort level, as can adjusting the person's head position. Your loved one may have more or less pain as death approaches. If there is more pain, you should alert the nurse or hospice caregiver so more pain medication can be given. Eventually, the blood starts to centralize, meaning that the blood stops circulating to the hands and feet, and stays in the central part of the body to better support the failing vital organs. If the cold hands or feet bother your loved one, a blanket may make them a bit more comfortable. What happens when your kidneys shut down is that less urine will be created, making it change color or become darker. Another contributing factor to the decrease in urine production is the decrease in fluid intake that occurs as death nears. As the kidneys fail, the extra toxins and waste in the blood may cause a coma; in many cases, this type of coma is considered a calm path to death. What Organ Is the Last to Shut Down When You Die? The digestive system is the first to be affected. When the dying process begins there is a loss of appetite and thirst. The brain will also lose function and shut down. This is due to a lack of oxygen attributed to labored breathing and the eventual cessation of breathing. The kidneys aren't able to process fluids as before and will also shut down during the dying process. The heart and lungs are generally the last organs to shut down when you die. The heartbeat and breathing patterns become irregular as they progressively slow down and fade away. Also, it is thought that hearing is the last sense to go during the dying process. Don't assume your loved one can't hear you. It is strongly encouraged that you speak to your loved one even if they are unconscious. Not every person will exhibit each one of these signs, but most will show several. Since we don't know when death will exactly occur, people often hold vigils by the bedside so that they will be present as the person passes on. Although many people do not want to talk about death, it is a part of life. 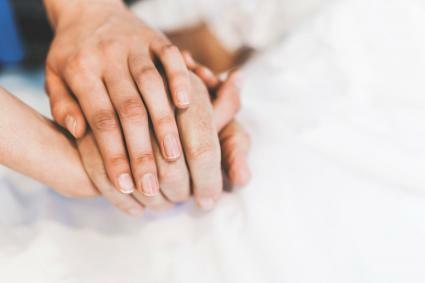 Understanding and being prepared for the uncomfortable and sometimes scary signs of approaching death will give you the chance to help your loved one and be at peace with the situation yourself.